TechCrunch coverage of Phoenix Startup Weekend… Yeah – I was there working on Reserve Chute!!! Twitrratr gets a nice bump… nice job guys. It’s been some time since we last covered Startup Weekend, a series of events that bring a roomful of developers and entrepreneurs together to develop new startups in only 54 hours. When the program originally launched last year, each weekend was geared towards building a single application, of which every participating member was a cofounder. Since then the format has changed – multiple companies are created at each event, and they don’t have to incorporate at the end of the weekend. Here’s a handful of the companies founded at last weekend’s event, which was held in Phoenix. Awful domain name aside, the Twittrratr team has actually built a pretty cool Twitter site. After entering any keyword, Twittrratr will find related tweets and attempt to figure out if the subject is being spoke about in a positive or negative light. It’s a good idea but unfortunately it doesn’t work very well – oftentimes words that Twittrratr associates with a negative tweet aren’t being used to describe the keyword that was searched for. The team acknowledges that the system isn’t perfect and is open to suggestions (it’s still pretty impressive for 54 hours from conception to launch). 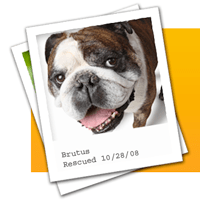 hey…wheres the love for myshelterhelper, brian? haha. Yeah… should have seen that coming… My wife worked on it… so I'm shocked Bret was the first to crack me for it!! !Everyone did a great job. Huge props to the sponsors, organizers and of course Gangplank. Brian, can you provide your email address? I have a startup in Tucson, I'd be interested in talking. Thanks. What happened to ReserveChute? The site is down, I can't find a blog, nothing. Sad days. Next Next post: FCC intends to abolish the Enhanced Service Providers exemption.